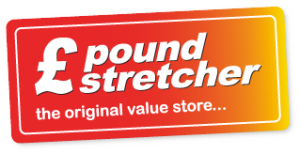 Poundstretcher is the original value store, supplying you with a wide range of products at exceptional prices. As well as offering an extensive homeware collection, the store offers a range of top quality electrical goods, furniture and children’s toys, all at incredible value. Poundstretcher have brand new homeware in-store, and for amazing prices! Why not have a look in-store at Ocean Plaza to see their full range!